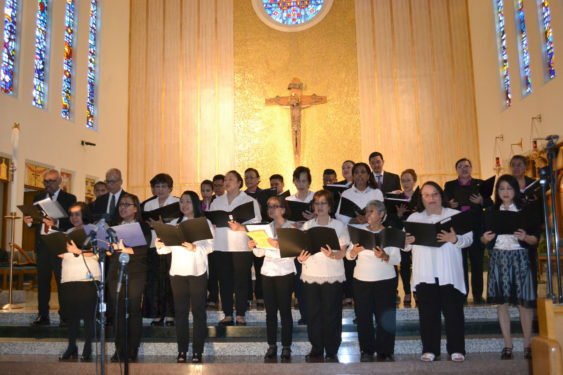 “He who sings prays twice!” – Those words of St. Augustine rang true at St. Nicholas of Tolentine Church, Jamaica, when the parish choirs held a concert to commemorate the 100th anniversary of the parish, which was formerly staffed by Augustinian friars. 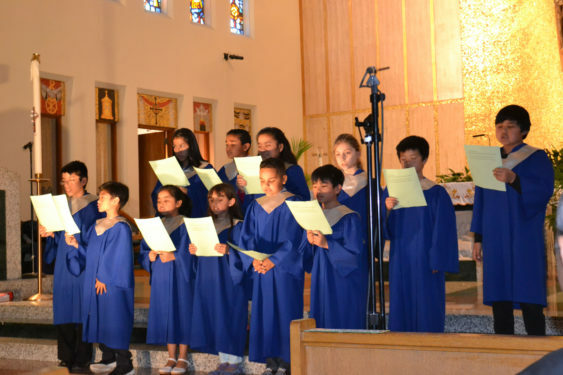 Many of the songs centered around praising God, Mother Mary and bringing peace to the world. 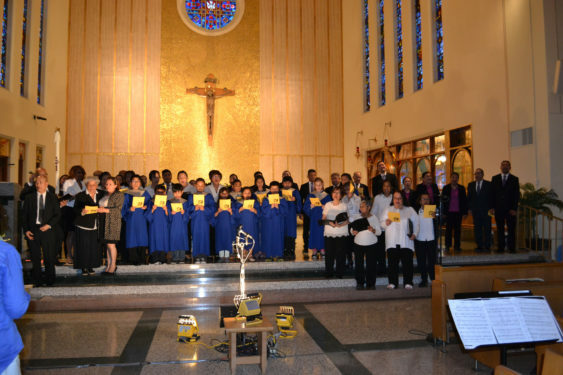 Close to 100 parishioners and guests were treated to the vocal and instrumental talents of the St. Nicholas’ English and Spanish choirs, the youth and young adult choirs and special guests, The Voice of Friendship Singers. 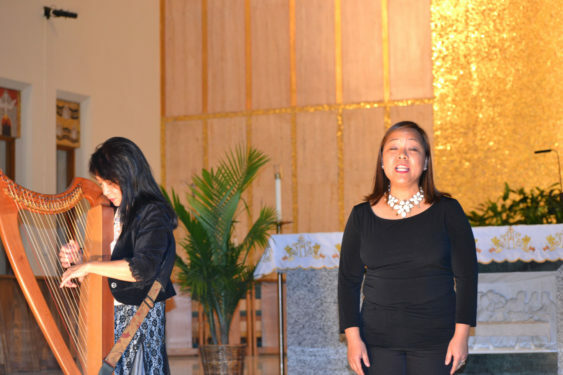 Jose Villanueva, parish music director, and Marvin Gayatgay, director of the Voice of Friendship Singers, coordinated the concert, which also featured the harp playing of parishioner, Andrea Florendo. 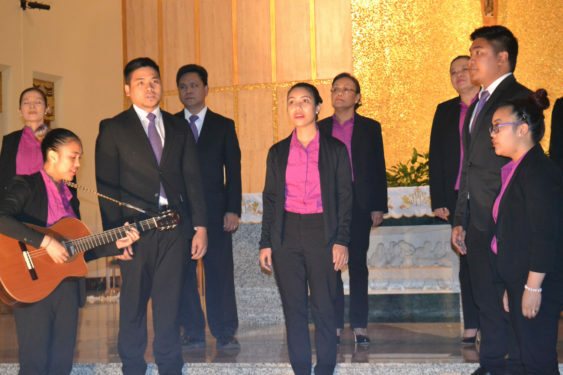 The concert was part of a series of events celebrating the parish’s centennial. The next scheduled event is a parish family picnic on June 25, 2-6 p.m. at Cunningham Park, where families can bring a picnic lunch and enjoy various games and activities.